It might seem strange bringing you a round-up of festive foods at this time of year, but it just wouldn’t be right to wait until next December. So you’ll simply need to bookmark this post for when you start planning your party foods for the next festive season. Although saying that, I think you’ll find there are plenty of tempting treats in this Family Foodies round-up you’ll be keen to try out whatever the time of year. How about some festive non-alcoholic tipples next? And now it’s time for the naughty sweet stuff! It’s always such a hard task to choose a winner for Family Foodies challenges but this month it was harder than ever. I want to try every dish in this round-up! But the ones I am most curious to try out first have to be the Chestnut Maple Snowflakes from Linzi at Lancashire Food. As always, her photos are simply stunning and I love the sound of the chestnut flour combined with maple syrup. These are quite clearly biscuits that are just too good to save only for Christmas time. So congratulations to Linzi for being our festive Family Foodies winner. A copy of Meera Sodha’s cookbook Made in India will be winging its way to you very soon. And huge thanks to all those fantastic bloggers that shared their wonderfully festive recipes. It was a really tough call to select just one winner. 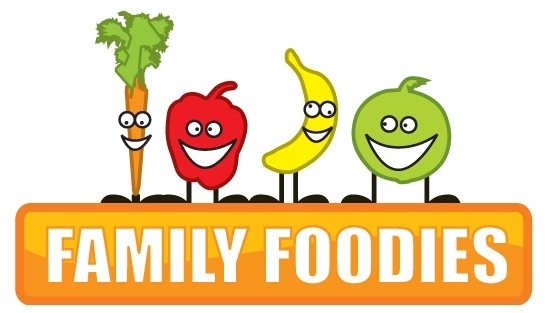 January’s challenge is now open over at Eat Your Veg and the theme this month is Healthy Kids. We look forward to seeing your entries! Thank you for featuring my recipe. Some of these look absolutely delicious, will have to make a mental note for next Christmas. I quite like the idea of thinking about festive recipes now, and there’s no reason why you can’t use some of them to brighten up January. Did the taste of the chestnuts come through much? I would have thought that the maple syrup might overpower it.